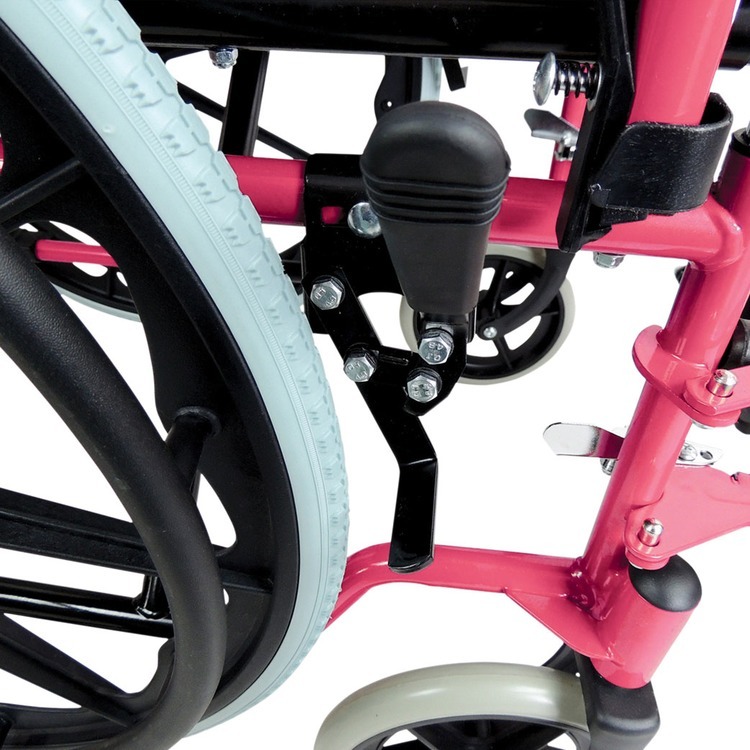 This Self Propelled Wheelchair offers independence and peace of mind to users. 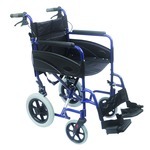 It is finished in a range of durable paint finishes that give a modern and attractive look. The frame is made from lightweight, highly durable steel. 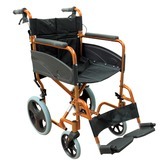 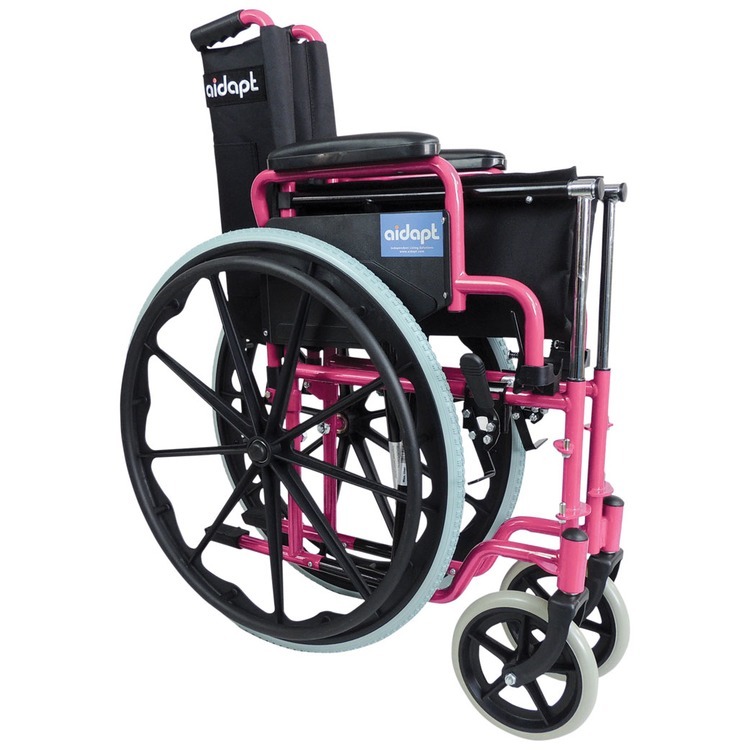 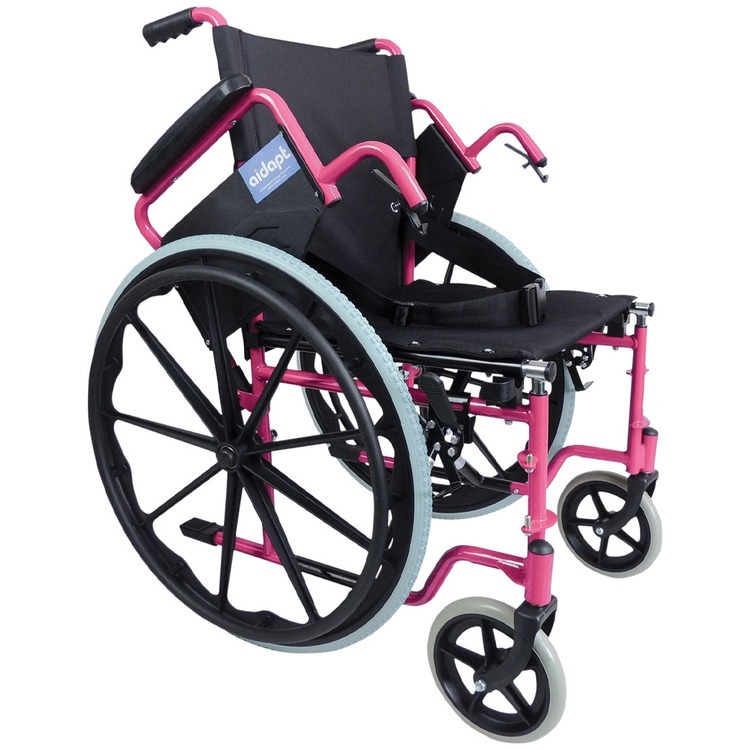 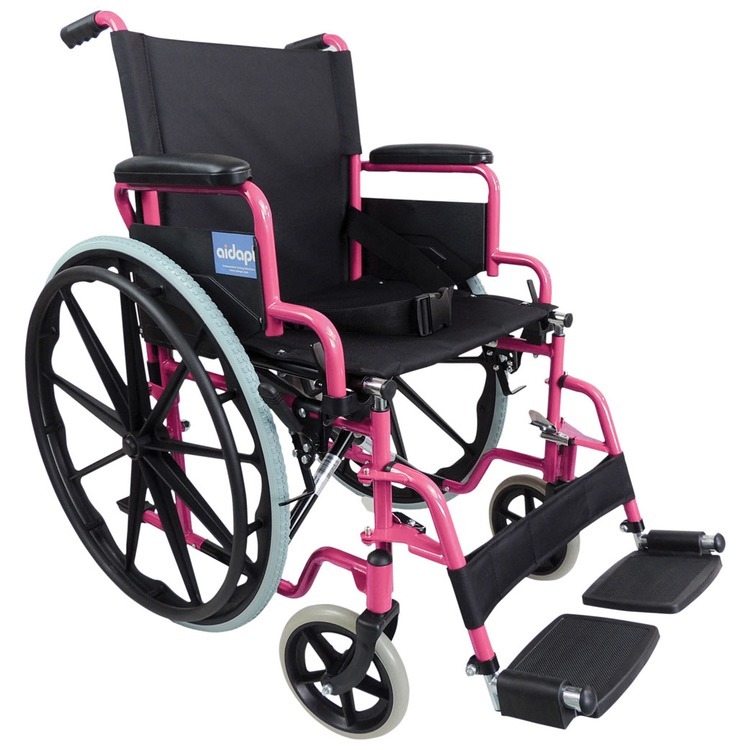 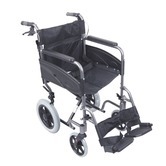 Featuring 24" puncture proof rear wheels, 8" puncture proof front wheels, luxury padded upholstery, 18" seat width, flip back armrests, adjustable detachable foot rests, anti tip bars,lap strap and hand operated brakes. 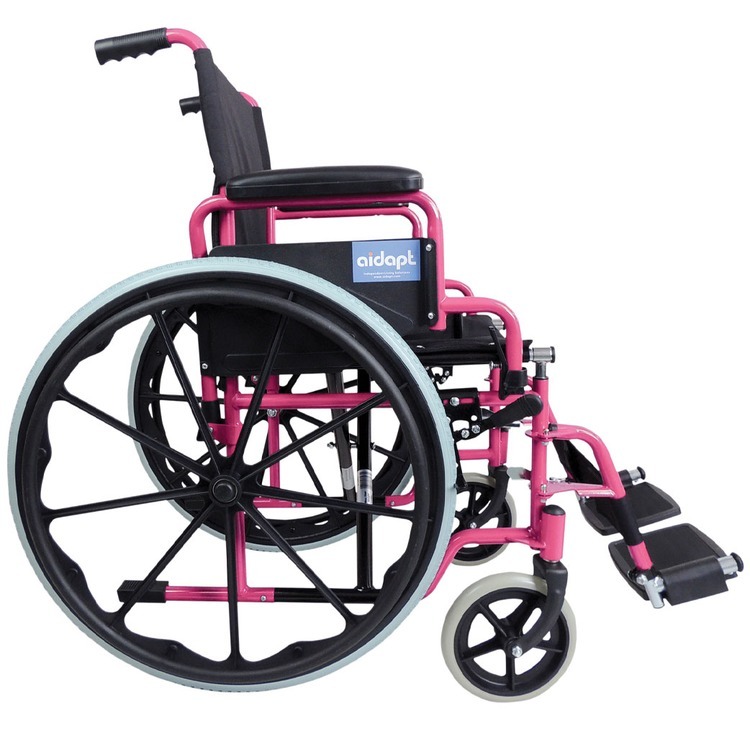 The Self Propelled Steel Wheelchair from Aidapt is easy to fold and transport in a car.